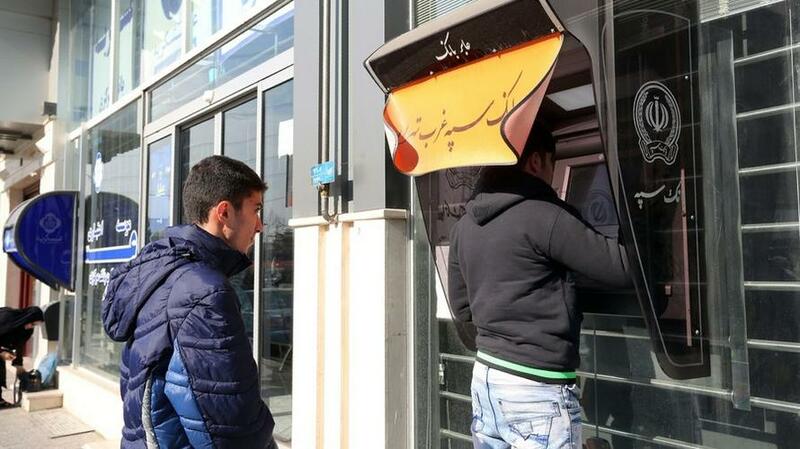 As reported last week, shortly after SWIFT caved to US pressure and defied the EU announcing it would cut off a selection of Iranian banks, on Monday, the US Treasury said the Iranian Central Bank has been officially cut off the SWIFT financial messaging system. The disconnection, which comes at a time when Iran's economy is reeling and its currency is tumbling as a result of restricted oil exports (albeit offset by numerous temporary waivers for top Iranian oil clients), will made it far more difficult for the Islamic Republic to settle import and export bills. Treasury Secretary Steven Mnuchin said that the move is “the right decision to protect the integrity of the international financial system", and comes after several days planning by SWIFT. As previously discussed, SWIFT said it would begin cutting off access to several unspecified Iranian banks. More than 70 Iranian and Iranian-linked financial institutions were sanctioned, including a host of banks that allegedly provided services to Hamas and Hezbollah, and others that provided services to the Iranian armed forces. While the US could not directly force SWIFT to cut off Iranian banks, US Secretary of State Mike Pompeo had warned that penalties would be applied to SWIFT and any other firms that refused to comply with the latest sanctions, effectively forcing SWIFT to pick between compliance with US demands or angering top EU officials. It picked the former. An allegedly "neutral" entity, SWIFT had found itself torn between a US-EU diplomatic row as of late. Scrambling to save the 2015 Joint Comprehensive Plan of Action (JCPOA), or Iran deal, EU leaders enacted a ‘blocking’ law in August, prohibiting firms operating in the bloc from complying with the US sanctions. Ironically, in siding with Washington, SWIFT, which is based outside Brussels, may face penalties in Europe. Meanwhile, on Sunday PressTV reported that over the weekend, Iran went ahead with a second public sale of its light crude oil to international clients through its Energy Bourse in a policy meant to dodge US sanctions and sell the strategic fuel to direct buyers. Iran's Kharg oil export terminal in the Persian Gulf. 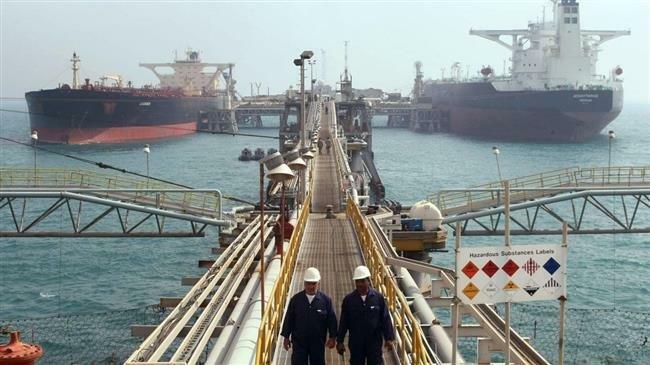 The National Iranian Oil Company (NIOC) had put 700,000 barrels of light oil up for grabs at a proposed price of $65.22 per barrel - $5 below the first sale that was held last week. The auction started at 14:30 Tehran’s local time (11:00 GMT) on Sunday, but finished in less than an hour according to a report by the Energy Bourse published at 15:17 local time. The oil that had been put on sale was sold out in three cargos: two at 245,000 barrels and one at 210,000 barrels. No names and details of buyers were provided as officials had earlier said the identities of bidders were kept confidential. The price at which the oil was sold was specified at $64.97 per barrel. During the first round which was held on October 28, a total of three buyers purchased a collective of eight cargoes totaling 700,000 barrels of Iranian oil. According to NIOC’s arrangements, buyers would have to pay 20% of the total value of their purchases in Iran’s national currency – the Rial. The remaining payments would need to be made in foreign currencies after loading; it wasn't clear if dollars would be accepted. Additionally, buyers would have to pay 10% of the value of their purchases in Rials two hours before the start of trading. They can either buy 35,000 barrels of oil or a multiple of this up to a ceiling of one million barrels. The mechanism is seen as Iran’s answer to the US sanctions that ban the country’s oil exports, among other restrictions. It remains to be seen what if any recourse the US will implement to offset this direct, and anonymous, sale of Iran oil to international clients. US officials have said the sanctions are meant to bring down Iran’s oil exports to zero. However, Iranian officials have repeatedly rejected the feasibility of this, stressing that international consumers cannot afford to lose Iranian supplies. Separately, in order to avoid a surge in oil prices, Trump agreed last week to grant 8 states waivers so they could continue purchasing Iranian oil, in the process accelerating the recent plunge of crude oil into bear markets.